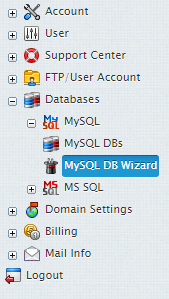 Within the Name of database section set a name for your new database. A description can also be placed in the box below for future reference. Click Next. Please Note: New MySQL databases are created with the username_ prefix, where username is a unique identifier that contains either first letters of the name of an account under which this database is created, or that account name’s first letters and a unique number if there are several account names starting with the same letters. 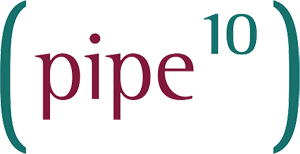 This is done to prevent the creation of databases with the same name under different users. Agree to any charges if there are any. 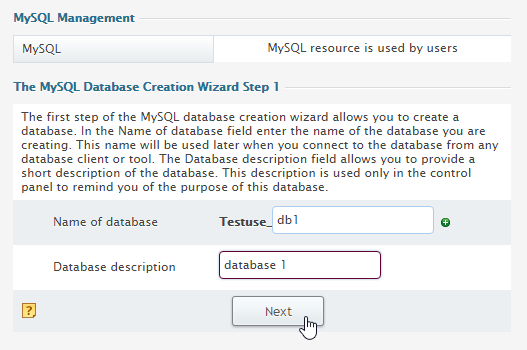 Within the form either create a new user or assign a preexisting one to it. To add a new user: Fill in the details and press the Add user button. To add an existing user: Select the user and role and press the Grant button. 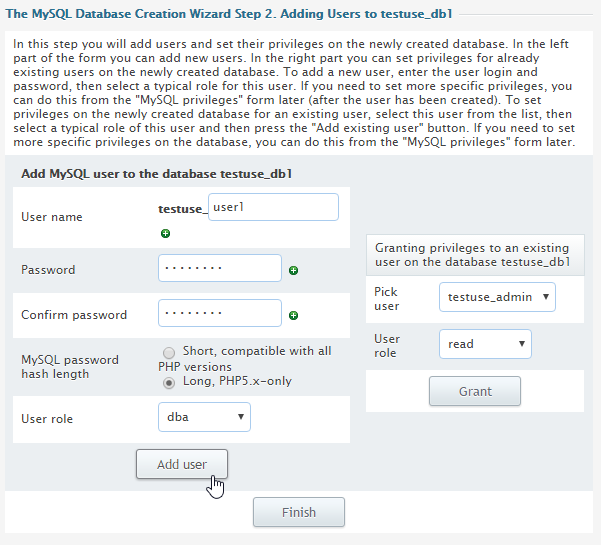 Please note: In most cases you will want to use a Long, PHP5.x-only password & set the user role to dba.